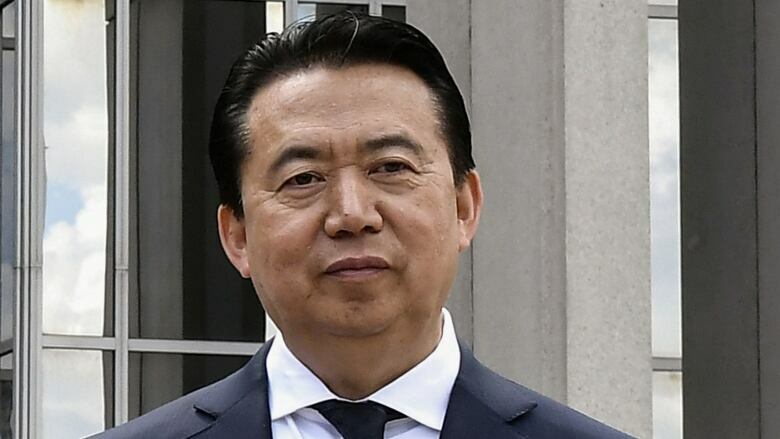 Interpol's secretary general says the international police organization's rules forbid him from probing into the fate of the Chinese government official who served as Interpol president for almost two years before he vanished during a trip to China. Chinese authorities said they detained Meng, 64, on bribery charges, though his wife has described him as a victim of political persecution. He was China's vice-minister of public security and appears to be the latest ranking Chinese official to have been caught in a sweeping purge under President Xi Jinping. "We are strongly encouraging China" to come forth with details of Meng's case, Stock said. He suggested Chinese officials would "when the right moment comes.